A Cheerful Little Boy Is Playing In The Snow. His Glove Fell Into The Snow. 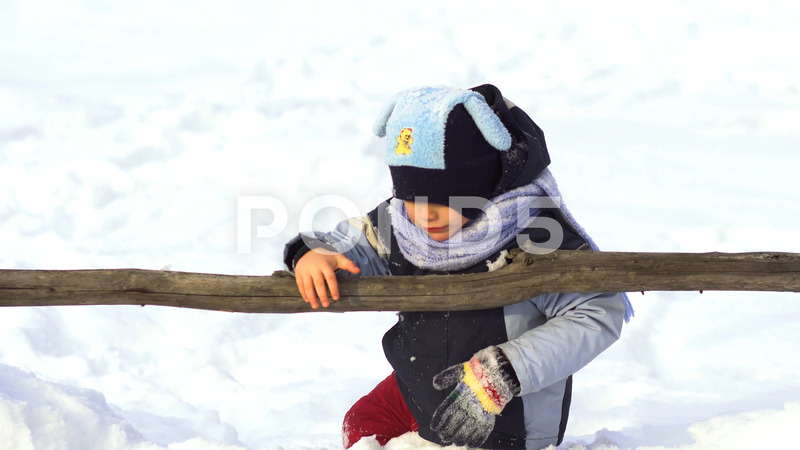 Description: A cheerful little boy is playing in the snow. His glove fell into the snow. Close-up.